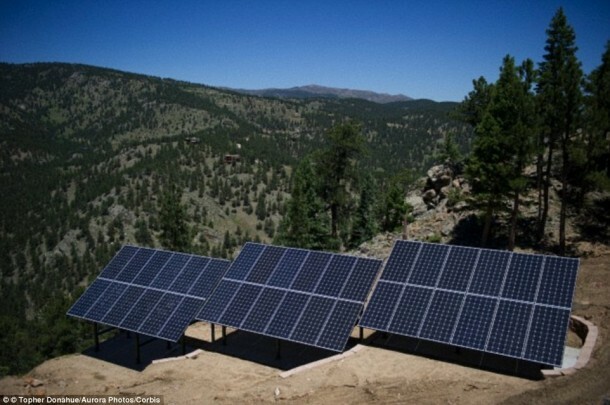 According to experts, were we building solar farms at the same rate at which we are busy destroying the forests around the globe; we will have enough clean energy to power the entire planet within three years only. By making use of the data from the US Department of Energy along with the predictions about the usage of energy by 2030, the Land Art Generator Initiative (Logi) has calculated the number of solar panels that will be required to cater to the energy supply requirement in the next 15 years. For 1980, levers were 283 quadrillion Btu and this figure was at 500 quadrillion Btu in 2009. This consumption of energy is comprised of cubic meters of natural gas, barrels of petroleum, and watts of hydropower and so on. In the next step, the team used this projected figure of 678 quadrillion Btu and converted it into kilowatt hours (one Btu is 0.0002931 kWh) thus reaching a figure of 198,721,800,000,000 or 199,721 tWh. This amount is for a whole year and by comparing we can conclude that an average household makes use of about 18,000 kWh/year (One billionth of the total world usage) and thus a capacity of 0.2kw per square was calculated. The research team continues, “So now we know the capacity of each square metre and what our goal is. We have our capacity in Kw so in order to figure out how much area we’ll need, we have to multiply it by the number of hours that we can expect each of those square metres of photovoltaic panel to be outputting the 0.2kw capacity (kilowatts x hours = kWh).” Following some more calculations the team arrived at the figure of 191,817 square miles as the ‘area required to power the world with solar panels’. 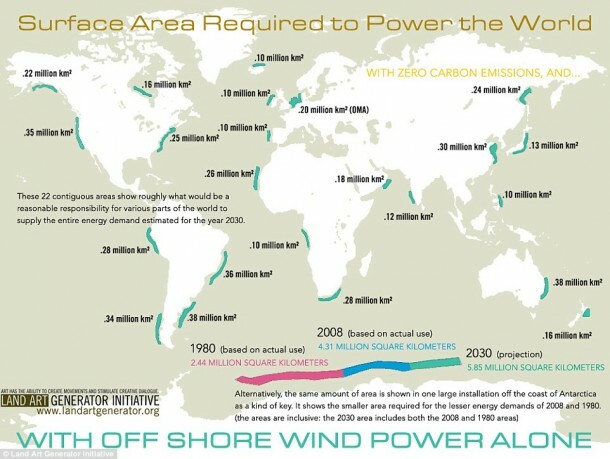 They also designed a second map that depicts how much of world’s coastlines can be utilized for powering the plant by making use of offshore wind power only. If countries agreed to provide 22 areas, covering a total of 2.25 million sq. 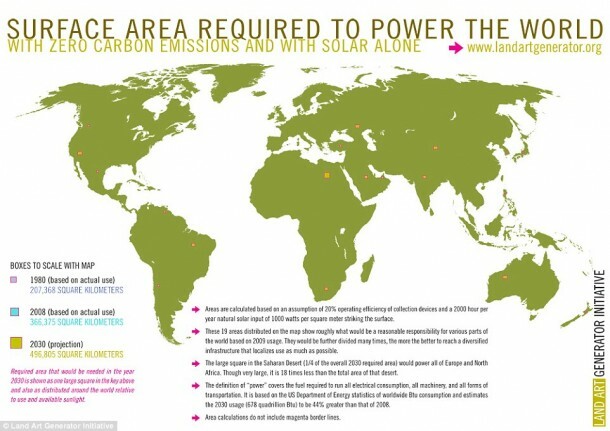 miles, enough energy could be harvested to meet the projections of 2030. As an alternative, the same amount of area has been covered by a single huge installation off the coast of Antarctica. Great post. I’m happy that i find your article its very nice and more informative.